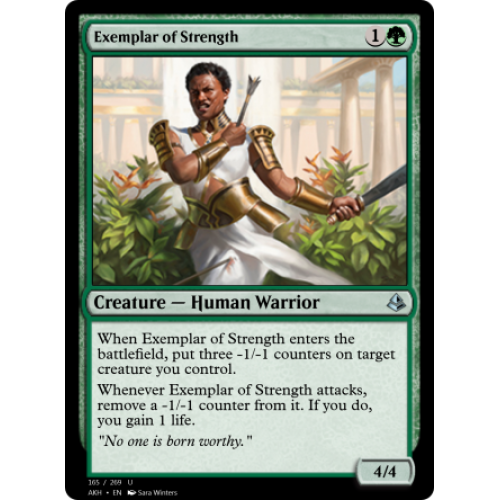 When Exemplar of Strength enters the battlefield, put three -1/-1 counters on target creature you control. 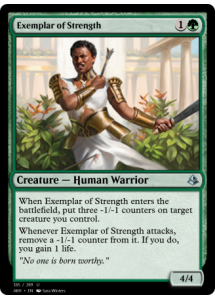 Whenever Exemplar of Strength attacks, remove a -1/-1 counter from it. If you do, you gain 1 life. "No one is born worthy."